For optimum anchorage, provide a sturdy and secure base for your shed with the Storemore Avantgarde Foundation Kit. The kit includes heavy duty square tube framework which is assembled to fit the base rail of your shed using pre-formed corner blocks for accurate sizing. 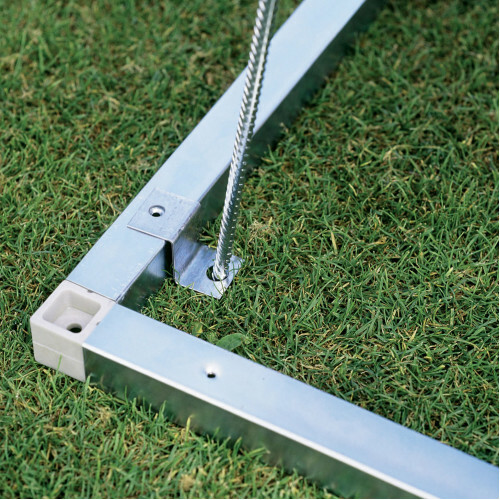 It can be secured to the ground with brackets and long steel anchors which are supplied with the kit and can then be filled with concrete, paving slabs or chippings. Alternatively you can fit the AvantGarde Steel floor covering kit on to the foundation. Please note that a polythene sheet / Damp Proof membrane must be laid underneath the kit prior to filling to prevent damage caused by rising damp.